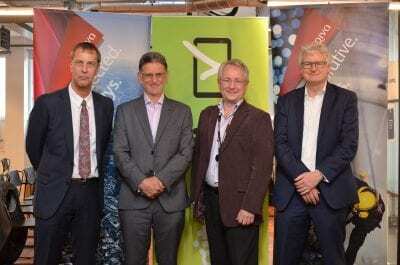 The names of digital radio pioneers were announced as the first inductees into the Digital Radio Hall of Fame at a the Digital Radio Stakeholders’ Summer Reception sponsored by Arqiva and held at Bauer Media in Camden today. The announcement was made by radio consultant and historian David Lloyd following nominations from digital radio stakeholders and judging by an eminent panel of radio experts. The nine individuals were judged to have made an outstanding contribution to the success of digital radio over the last 20 years as digital radio pioneers and innovators. Reinforcing that the establishment of digital radio as the majority of radio listening in the UK has been a collaborative and cross-industry effort, the Digital Radio Hall of Fame will include individuals from all sectors and areas that have contributed to digital radio progress, with representatives from broadcasters, retailers, manufacturers, automotive, Ofcom and Government. The inductees will receive their Digital Radio Hall of Fame award at a special ceremony to be held at the Drive to Digital Conference at the British Museum on 25 September. The Digital Radio Hall of Fame judges were: Dee Ford, Bauer Media; Helen Boaden, formerly-BBC: William Rogers, UKRD; Will Harding, Global; Jimmy Buckland, Wireless Group; Lindsey Mack; BBC; David Lloyd, Radio Consultant and Historian; Bernie O’Neill, WorldDAB; Emma Hill, Radioworks; Peter Davies, formerly-Ofcom; Glyn Jones, Arqiva; Diane Fuller, Roberts Radio; and Sophie Spooner, Pure.